Beep beep, coming though! 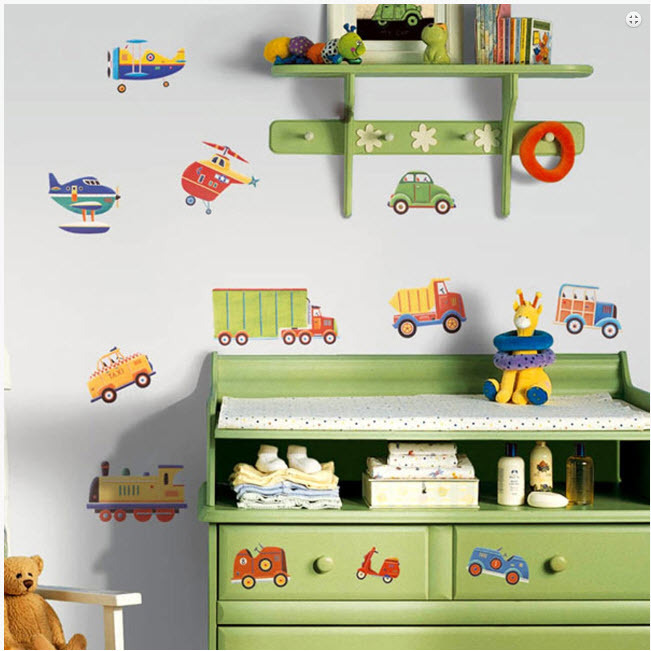 Watch out for all things on wheels with our Transportation peel and stick wall stickers. Planes, trains, cars, trucks, taxi cabs, scooters, bus, tractors, and helicopters are all included in this set. No driver's license required! Just apply onto any smooth surface--walls, furniture, accessories, and much more. Grab the self-adhesive border (sold separately) for a total room makeover. • 1 sheet of 10" x 18"
• decals range from 10.25" x 4.5" to 3" x 2.5"